There is no in crowd. There is just God going on. God developing His human self and growing Himself in them. Jesus said I am the Vine and you are the branches. When He said this, and the very inflection of His voice would have carried the meaning if the disciples could.hear at that point......which they couldn't.........somewhere at the base of.their agenda was Yahshua Mahsheach conquering ruler, and reinstalling kingdom to Israel from Roman rule.......nope they weren't yet in hearing mode. Neither are you I suspect. 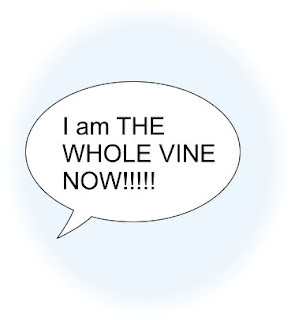 I am the Vine and you are the minions.....??? 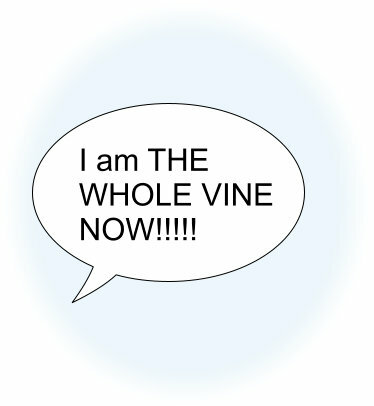 I am the Vine.......trunk and branches the whole thing and you are Christ the branches? People get angry with me talking about a third growth stage, a thirdlevel to this Christianity thing. Well blame Apostle John in 1John 2. Is he writing about an in crowd? Nope. There isn't one. There is just God going on. It takes three whole levels to catch it inwardly. Before we catch it it doesn't make it any less true. Just because a baby can't relate to you about what its synapses are doing in its brain as they multiply at the fastest rate, doesn't mean it isn't so!!! Why not the charismatic move Chris......surely that's the ultimate? Well if.I pressed you.for what they teach.........would you.say......Union? Would you say Jesus total vine teaching? Or would you.say they were more caught up with signs and wonders and anointing? By the confession of our own mouths are we known. And Charismatics continually confess Jesus out there somewhere and they are the little minion branches crying out More Lord More.Lord, as if they are unattached orphaned branches. But Jesus says........if you are a cut off branch you can't bear any fruit. But by this He didn't mean for.you to fast and pray that your little branch be attached again........HE MEANT.......SEE YOURSELF ALREADY IN........I AM THE WHOLE VINE NOW........THE TRUNK AND THE BRANCHES......YOU ARE RIGHT NOW THE CHRIST BRANCHES !!!! Why are you struggling? The Kingdom is not Lo over here........with you crying endlessly. More Lord.over here please. The Kingdom IS NEAR YOU EVEN IN YOUR MOUTH. I AM EMMANUEL. GOD WITH YOU. 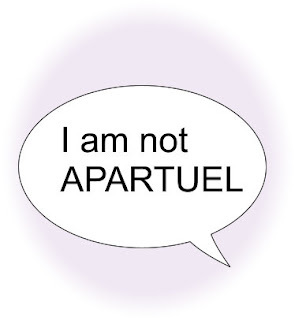 I AM NOT APARTUEL.......GOD.APART FROM YOU. GALATIANS 2.20 is now true of you. There is no in crowd. There is only God going on. THEN U ARE ALREADY IN IT!! !